The American Society of Landscape Architecture (ASLA) asked their members to rate the expected popularity of a variety of residential outdoor design elements in 2015. 581 members responded to the survey that was conducted February 13 through February 27, 2015. From the survey, it appears consumers have a great concern for the environment and want to be eco-friendly in their own backyards. I do NOT believe that the concern for our environment is a trend. The Green concern is here to stay. Dallas North is committed to actively looking for vendors that use eco-friendly materials in production. We partner with vendors who are committed to developing energy and water efficient products. While the Green movement may have been perceived as a fad a decade ago, consumers are more and more concerned with their environment and the impact of their own consumption and waste. With consumers concerned about their own footprint on the environment, efficiency and quality are top concerns when hiring irrigation and lighting contractors. We can retrofit existing sprinkler systems to be more irrigation efficient or design and install a new system to maintain your beautiful landscape. 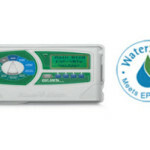 Worn nozzles, improperly sized or designed fittings, nonfunctional or poorly programmed controllers are common reasons for wasted energy in irrigation systems. Equipment must be properly maintained to keep your system functioning efficiently. Is it time for an irrigation check up? Call us if you would like some advice on how to do it yourself. We would love to help. Now that the days are getting shorter (we set out clocks back on Nov. 1), many homeowners are considering outdoor lighting to extend their enjoyment of the outdoors. Many of the lighting products we install are ENERGY STAR certified which means the product meets strict energy efficiency guidelines set by the US Environmental Protection Agency. Saving energy helps save money on utility bills and protects the environment by reducing greenhouse gas emissions. Lighting products that have earned the ENERGY STAR label deliver exceptional features, while using less energy. 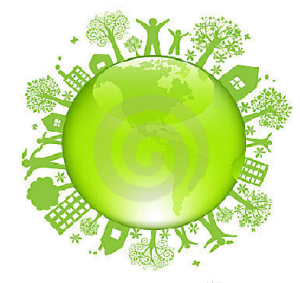 Saving energy helps you save money on utility bills and protect the environment by reducing greenhouse gas emissions. ENERGY STAR certified lights can use up to 50% less energy than standard incandescent lights and last up to ten times longer. In addition, the extra guidelines subject ENERGY STAR certified products to much more rigorous standards including weathering tests for outdoor lighting fixtures. Give us a call at 770-943-9654 to get on the schedule so that we can show you how transforming your landscape can look after dark.